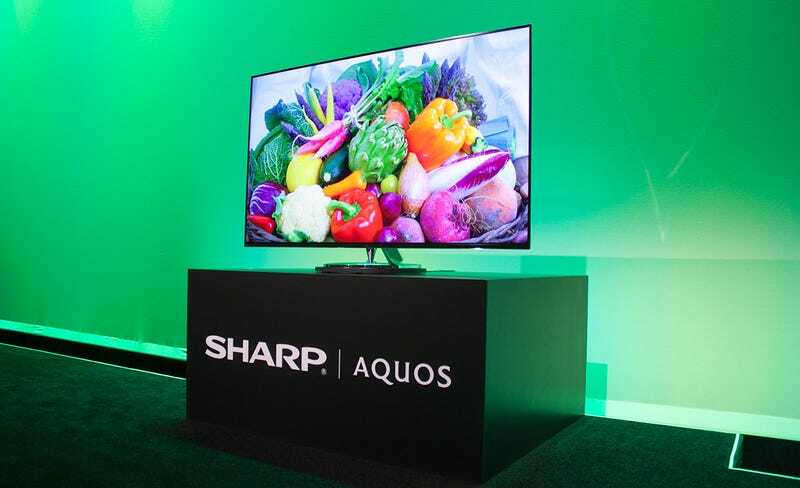 Sharp just loosed a salvo of 4K TVs at CES, and even one that approaches near 8K resolution. One of the neat sets that enjoyed a brief sidebar during Sharp's press conference was a TV the company is calling a "Super Slim" set because the panel is less than half-an-inch thick (not including the set mount). Oh hey, a TV—wait, where'd it go? The Super Slim is only different from Sharp's newly announced UE30 and UH30 with its skinny figure. The set will still come with the SmartCentral 4.0 platform, developed by Sharp, as well as Google's Android TV. The set pictured above is a 70-inch but a Sharp representative told me that they're also considering an 80-inch option. This set is no where near final pricing info but will be available near the end of 2015.